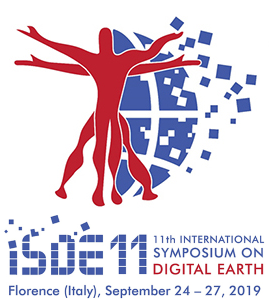 A Call for Special Sessions for the 11th Annual International Symposium on Digital Earth (ISDE 11) is underway; the ISDE Scientific Program Committee requests that proposals for special sessions be submitted by October 15, 2018. The conference will take place September 24-27, 2019, in Florence, Italy, and will include a scientific program with technical paper sessions, invited talks, joint sessions with sister organizations, panels, an exhibition, and social events. The theme of the 2019 event is “Digital Earth in a Transformed Society,” celebrating and investigating the virtual representation of our planet as a multidisciplinary collaborative effort that engages different sciences (e.g. Earth, Space, Information, and Human sciences) to monitor and forecast natural and human phenomena. In addition to the Call for Special Sessions, a Call for Abstracts is also in progress. Submitters have until January 31, 2019 to submit papers and posters for consideration.